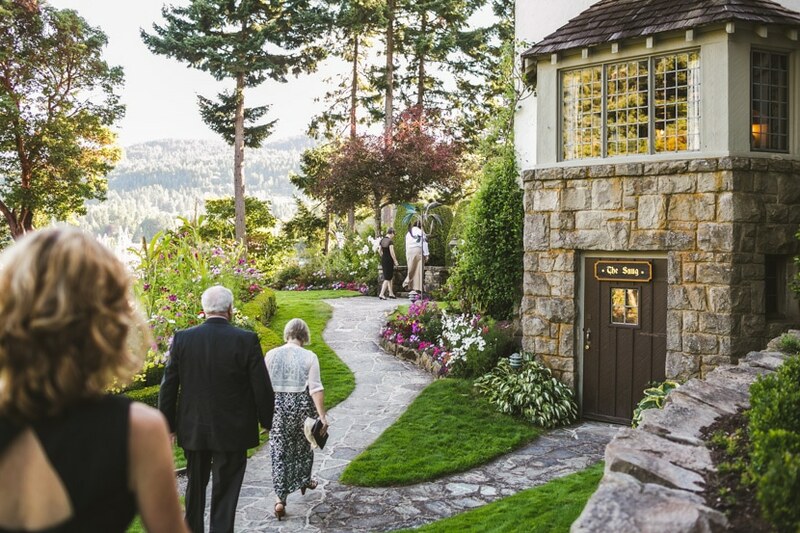 This is an in-progress list of wedding venues on the Gulf Islands. I’ve included photos and links to weddings I’ve shot at the venues I’ve worked at (feel free to ask me questions about these venues), plus some info and links to all of the venues. If you can’t find your dream venue, check out the links to other nearby areas above. Use the links below to jump to a style of venue. View the venues by location on this Google Map of Gulf Island wedding venues. Bullock Lake Farm “recently re-opened for weddings in a totally new and unique way: offering a full-service package that doesn’t compromise ethics, locally sourced or organically grown.” Wedding package includes catering, floral and event design, and coordination. 24-acre farm featuring mixed organic gardens, lakefront, rolling pastures, woodland, orchard, and wetland. An organic family farm, featuring a “beautiful farm house, outdoor bath, apple orchard, camping ground and swimming pond.” They rent out their renovated school bus and traditional tipi on Airbnb. From the owner: “Last summer we had two epic weddings on the land, one was barefoot with flower mandalas, hay bales, maypoles and dream catchers; the other had white cocktail tables, lavender and drift wood center pieces, and a dance floor. We welcome like minded people to share in the love and wonder of the magical farmland space for their unique union.” Note: photos provided by owner. The resort features fourteen modern log cabins and two cedar chalets. Weddings can include exclusive use of oceanfront lawns, a large marquee tent, and indoor facilities for smaller weddings (up to 20 guests). Dining hall reception for 70 guests; outdoor tent reception for up to 120 guests. Weddings include exclusive use of 22-acre property, cabins, and lodge facilities. Weddings for up to 20 guests. A gorgeous spot for a wedding or elopement. Spend the night (or several here) in a suite with a balcony Jacuzzi and fireplace, or rent out the entire property for your wedding. Receptions for up to 60 people. Up to 110 people in ballroom, plus other more intimate locations. European inspired country estate with beautiful gardens for intimate or larger wedding ceremonies and receptions. If you have any questions about wedding venues or wedding photography, get in touch. I love photographing weddings on the Gulf Islands because of their beautiful nature and laid-back vibe.